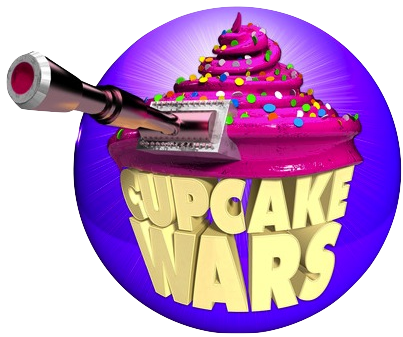 There are cake wars in Nova Scotia. "Quite frankly, it's up to the parents to determine whether or not we want to allow our kids candy." Now I've covered why I think the but parents can just say "NO" argument falls short before - instead today we have a much more civil discussion from my colleagues Drs. Sara Kirk, Tarra Penney and Jessie-Lee McIssac out of Dalhousie University and their Applied Research Collaborations for Health (ARCH). Let’s stop fighting about cake and focus on what’s important! In 1986, Canada became a world leader as the home of the Ottawa Charter for Health Promotion, a landmark international agreement that sought to build healthy public policy and create supportive environments for health. This culmination of evidence and call for action acknowledges the powerful role that our own individual circumstances play in our ability to live healthy, rich lives. It is based on the notion that, as a society, we thrive or wane together and it provides recommendations to ensure that our citizens, families and children have the best chance to create wellness for themselves by providing the best possible environment for them to live, work and play. Although the charter itself remains a long way from its goal of “health for all by 2000”, in 2005, Nova Scotia became recognised across Canada and internationally for its leadership in creating a Food and Nutrition Policy for Nova Scotia Public Schools. Rooted in evidence and community consultation, the policy is designed to protect school environments from the constant barrage of cheap, nutritionally void, highly processed foods that challenge us all in our decisions to make healthy choices and engage in healthy behaviours. Given that Nova Scotians are among the least healthy in the country – with high rates of chronic disease, the highest proportion of individuals with multiple chronic conditions and high rates of food insecurity - it could be argued that we are desperate for environments that make being healthy a little easier, and why not start with our children? Our schools? In the province, a weekend school fundraiser, and the resulting media coverage (and a video here), has raised questions regarding the interpretation of the policy for Nova Scotian schools. The criticisms put forward highlight how much work still needs to be done to ensure that parents, families and citizens understand the difficult choices we need to make as a society in order to create the supportive environments necessary to make the healthy choice the easy choice, especially in places where our children spend significant amounts of their time. The policy challenges us as parents and citizens to come up with innovative ways to combine tradition, health and fun in ways that will set up the next generation of citizens for life-long health. The policy sets an important precedent that schools are one place where we can help our children to learn about healthy eating and active living and model these behaviours. We need to recognise that supporting healthy behaviours could actually save lives and money, as well as helping our children to succeed. Why would we not want this for our children? As a colleague who works in school health so eloquently put it, “it’s amazing that some people will put up such resistance to offering healthy food choices to our students…when it is the right thing to do”.